I want to know if you can really answer this and really pray for me and that my problems will be solved?? My problem are that, Nothing is going right in my life at present, I was in Singapore I came back because of no Job. My girlfriend Cheated on me twice. Why I do not know, We were planning to getting married this December, but she cheated on me, and she do not want to talk to me.she regret and realize what she has done and she think about it and come back to me again. I will forgive her, As Jesus has told to ""Forgive"". I still love her I want her to love me the same way and regret for what she has done to me. I never did any wrong to any person in this world, but I am Screwed up by everyone. I do not have Job, Money, and i am in complete debt....nothing is going fine. 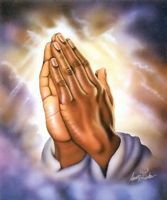 Please pray that I may get good Job call from Singapore and Canada to which countries I have applied to. If you can really help and pray that my love my girlfriend come back in my life as a nice and good girl who love me very much and she regret for what she has done. I will be thankful to you for my life. Waiting for a genuine response.